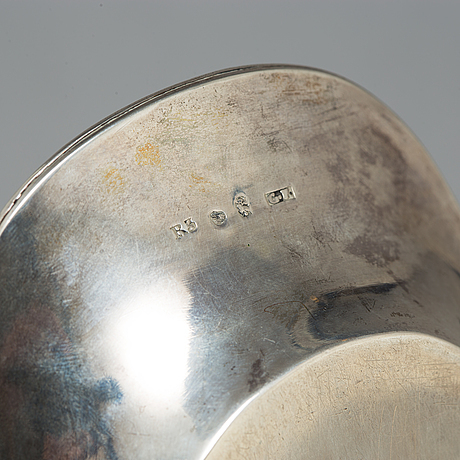 ADOLF ZETHELIUS, et al. 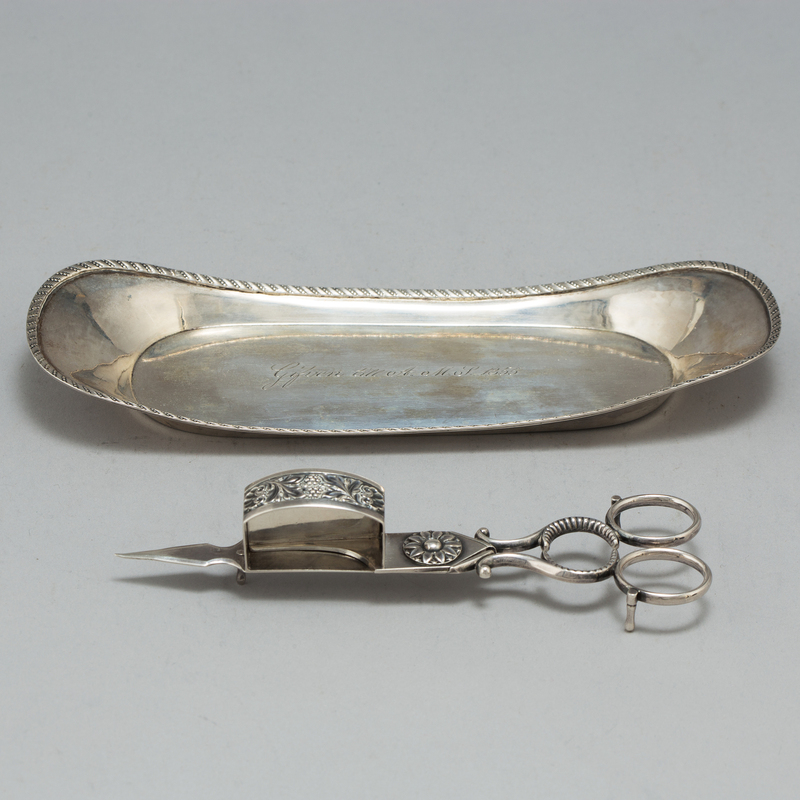 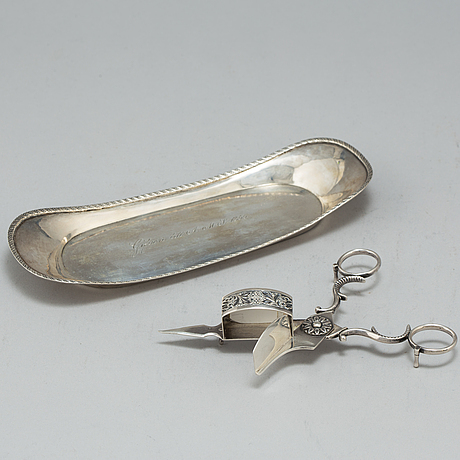 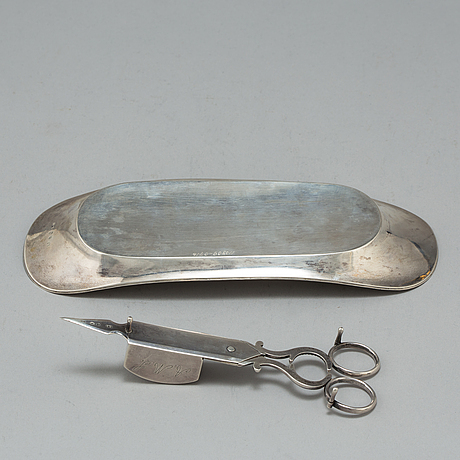 A pair of silver candle scissors with matched tray, Stockholm, 1823-8. 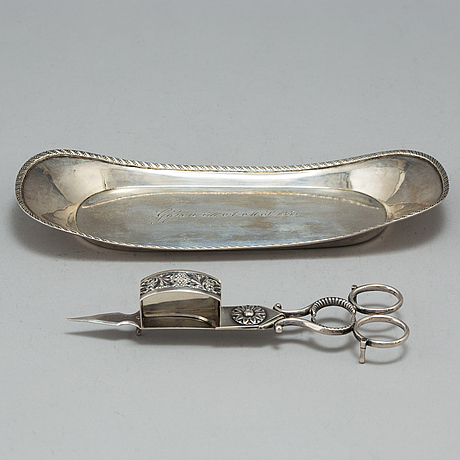 Length 17-23 cm. 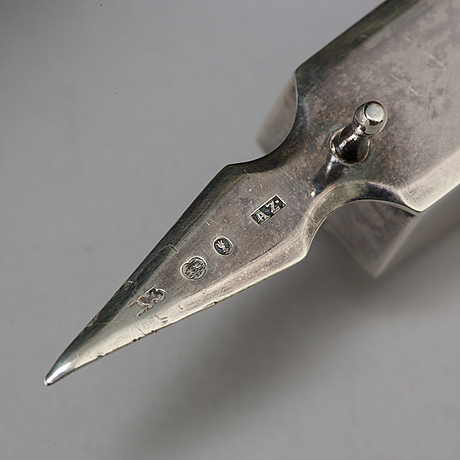 Total weight 255 grams.